Dogs Sleeping Forum • View topic - Abolish All Non-STEM Degrees! Re: Abolish All Non-STEM Degrees! Ray of Sunshine wrote: I think guest is saying your son wouldn't get through the vetting procedures having a close relative with a criminal record. I bet it depends on what the crime is though. It does not depend on the crime or even, necessarily, how close the relative is. Disclosure is paramount. You MUST disclose all information as they WILL know and automatically refuse you if you have not disclosed voluntarily. Bill Gates, Steve Jobs, Mark Zuckerberg and Larry Ellison all dropped out of university and you could say did "quite well"
Man of Knowledge wrote: Nothing angers, offends and triggers me more than the amount of pointless degrees plaguing my country! We should scrap all degrees that aren't STEM. The only thing that non-STEM degrees do is make young people more stupidier than they already are. Scrap non STEM degrees so we don't have stupid people who graduate in them get paid less than illegals picking crops in America and spend their lives as loser virgins. Employers view people with Humanities and Social Science degrees as people who took a 3-4 year course to make themselves more stupid. That is a fact and anyone who disagrees or tries to prove me wrong is a big stupid who did a useless degree thanks to my hard earned cash money! I'm sure Plato would disagree with you. Ray of Sunshine wrote: Bill Gates, Steve Jobs, Mark Zuckerberg and Larry Ellison all dropped out of university and you could say did "quite well"
Why would that have an influence? It would if you were a gangster or something wouldn't it? 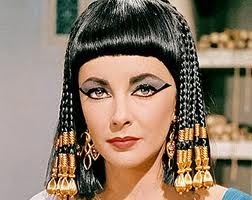 Cleopatra has said it has to be declared in any case. Leicestershire Police will also want to know whether any of your close family or associates are involved in criminal activity and the Vetting Unit staff will therefore search for any criminal convictions or cautions recorded against you, your family and associates. You must advise them that these enquiries will be made. Leicestershire Police cannot disclose the results of these enquiries to you. If your lad applies for the force, Stooo, he must disclose anything about himself or family/close associates, on the application. If there is anything and he does, it shouldn't count against him. If there is anything and he doesn't disclose, then that's it. People end up being refused because they were afraid disclosure might scupper their chances, so lie or feign ignorance. But integrity and honesty is what they want. He needs the degree long before he has a need to discuss his dad's villainy if it's even relevant. It was the guest who brought it up. Which means you or one of the admin let the post through. Ray of Sunshine wrote: It was the guest who brought it up. The above is true. A mate of mine didn't disclose a relative as she thought the crime had been spent......not their best idea. Let's just say they never did get a police job. I know of lots who work for the police with criminal pasts - misdemeanours - but as they had disclosed them, they got taken on. Honesty truly is the best way forward. tosh! the largest gang of terrorists are not interested in Honesty nor Integrity. they are only interested in how innocent or nieve You are. why is it Students (just thought, what is the difference in being a puple?) spend 8 years schooling and can't walk into a carear? at the very least, a degree in engineering and Linguistics by the age of 18! Do you remember where the bodies are buried, stooo, or do you have a schematic?